When I go to the city, which is not as often as I want, and I am in the neighborhood close enough to the beach I make sure that I stop by for a bit. Such was the case on May 30th, Memorial Day. 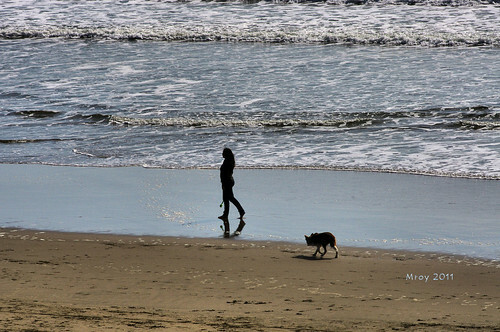 Our friends took us to lunch in Daly City and we were so close to the beach that we decided to walk off the calories by "hiking" Land's End and walking up and down Ocean Beach. This post is the Ocean Beach part. In the past five years, this would be only the 2nd time that I was there where the weather was beach weather - sunny, mid 60s to low 70s, mild breeze and downright beautiful. Needless to say I brought my camera out to lunch and for a walk. 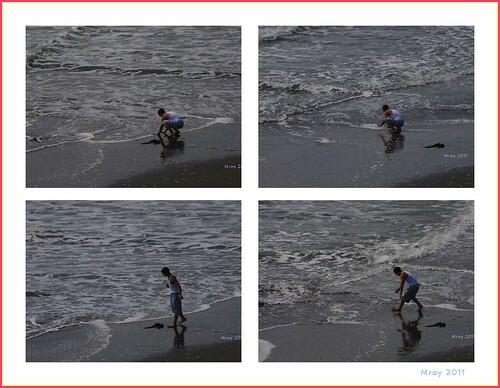 My captures on the beach. Funny but I never remember a totem pole by the Cliff House before. Has it been here forever? 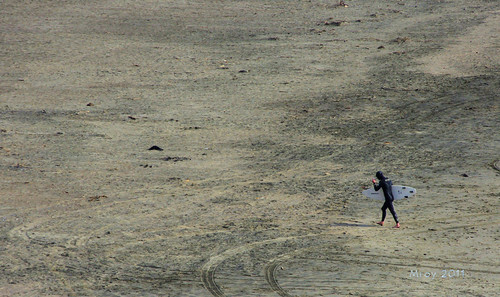 The surfing and dog walking look fun! Oh how I miss the beach. I think I should plan a trip to the beach soon. Looks like great days for the beach. Beautiful shots. Breathtaking shots. Especially the totem one. Gorgeous beach, terrific captures as always, and a wonderful look at your world! Wish I was there right now!! Hope your week is off to a great start! Enjoy! Wonderful beach shots. The houses along the seafront look like English buildings. now i miss my dog in hawaii...beach and dogs are fun. the view from the Cliff House is fantastic. 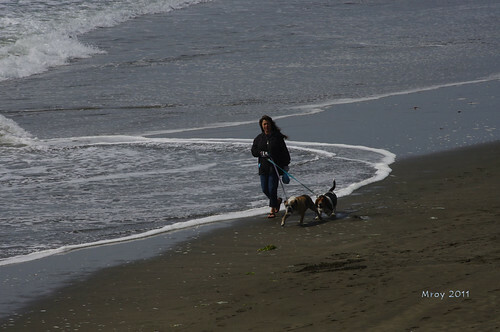 i love the surfing shots, and of the woman with dogs (i imagine Fritz and moi walking on this beach.:p). Wonderful serie from the beach. beautiful photos. 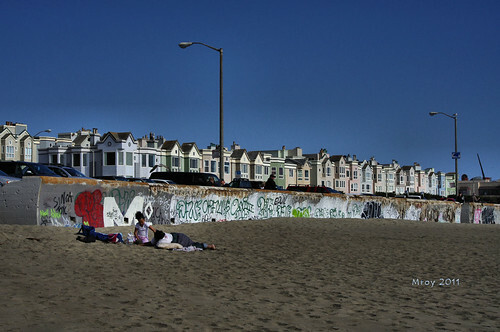 the houses facing the beach are just gorgeous. 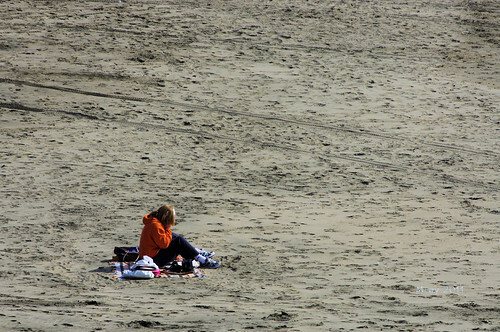 I'm glad you decided to walk to the beach. You got some great pictures. These are some truly beautiful shots. Wonderful shots. Real nice place. Bodacious! 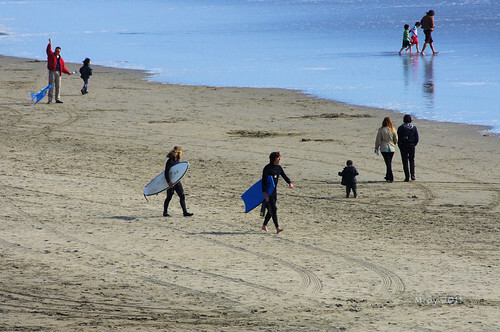 I always wanted to try surfing in Ocean Beach. Not sure if its for beginners though. Great to cool down especially during this hot season. Nice pictures. Fantastic series of beach shots! Thanks for sharing. 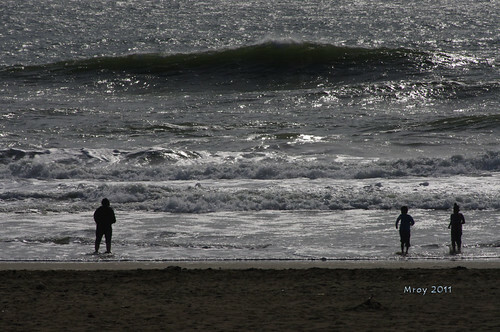 Great collection of photos to show life at the beach. I feel almost as if I were there. 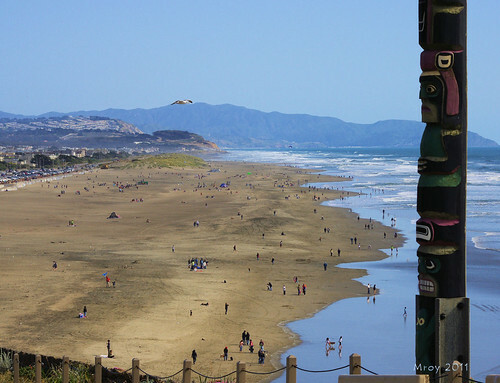 I don't remember a totem pole at Cliff House, either, but it's been several years since I've been there. 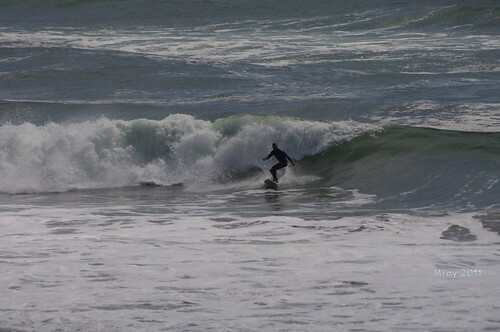 Great totem pole and wonderful waves coming in. Love the fast that the beach is not crowded. You always have very awesome shots. Ang galing galing mo! PS: Thank you so much for your visiting and kind words of comfort about Flora's passing. I believe that only the time will lessen my pain. lovely beach shots! my favorite is the first one. my world entry is here. there's always this calming sense when you're out on the beach. i love the melancholy feel of the black and white shots. winner! A wonderful day at the beach, everybody need those every once in a while. Great pictures! and a wonderful totem pole. Great shots of something I don't see very often. I especially love the surfers. It is indeed a nice day on the beach. 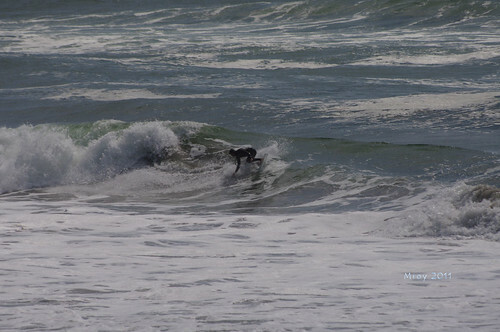 Great surfing captures too. Brings back wonderful memories when we use to hang out there in the summer time. Whenever I visit my daughter, I often take long walks from her condo to the Cliff House and beyond. Now that you mentioned it, I can't remember when I first saw that totem pole!